Getting charged with driving under the influence, a.k.a. “getting a DUI,” can have a major impact on your life. It’s no longer something that will simply get you a slap on the wrist. Today, driving under the influence is a serious crime, and is something that will greatly affect everything you do from that day the sentence comes down. That’s because it stays on your record forever; any potential employer can see that you’ve gotten one, which could negatively affect your prospects of getting a job. DUIs in high school are the easiest to forgive – unless you hurt or kill someone – but they still show a lack of discipline and control. They can hit your college prospects pretty hard if you’re aiming high, however. DUIs have an adverse affect on your insurance and many companies charge outrageous prices for insuring drivers with DUIs on their record! The cost of that drink isn’t only what you pay on your tab; it’s also a life-long increase to your insurance. Can you really afford that? Damage caused to your car can be difficult to explain and even harder to fix. Even when the car isn’t totaled as a result of your indiscretion you can possibly end up with paint scuffs, blown tires, or even body damage no matter how many precautions you’ve taken to protect your car’s paint with film. A DUI conviction can’t simply be dismissed as a youthful error in judgment; it’s much more than that. Because this is such risky behavior and can cause harm or even death to you and to anyone around you, it’s treated very seriously. Because of that, getting a DUI in high school is no longer something you can simply dismiss as a “mistake” that will go away. You must disclose that you’ve gotten a DUI on your application; this admission could prevent you from being admitted to the college of your choice. If you lie about it and hope to get away with it, good luck – but if you are accepted and it is discovered afterward that you’ve had a DUI, that, too, could have serious consequences, including expulsion. The simple solution to this, of course, is not to get a DUI in the first place. That’s easy enough to say, but what can you do if you’ve already been charged with a DUI? If you’ve already been charged with a DUI, take action immediately. 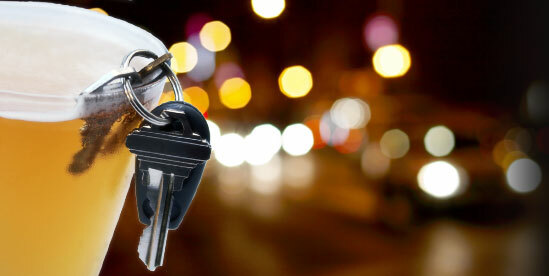 Contact a law firm that specializes in DUIs in your area. Celebrities keep DUI lawyers in LA busy, 224/7/365. Ideally, you will do it as soon as you’ve been read your Miranda rights after you’ve been pulled over for suspicion of DUI. Then, exercise your right to remain silent. Once you are read your Miranda rights, take advantage of them. Do NOT say anything further and instead exercise your right to remain silent. Anything you say can and will be used against you! Contact an experienced DUI lawyer who can do more than represent you in court. He or she will take the reins throughout the entire judicial process. With your lawyer at your side, you won’t unwittingly say or do something during police interviews, for example, that could compromise your chances for reduced charges or even complete dismissal of them. Instead, you’ll minimize or even eliminate the negative impact they could have on your life.